It was another successful day for CoPA at the ASA Masters competition at Rugby yesterday. The team (Ellie, Eloise, Fiona, Megan & Shannon) finished third to take bronze [video], Shannon took silver for her free solo and placed third in her technical solo, Megan & Fiona placed second for silver medals in their technical and free duets, and Fiona scooped gold medals for her technical and free solos. Fantastic results, well done ladies! 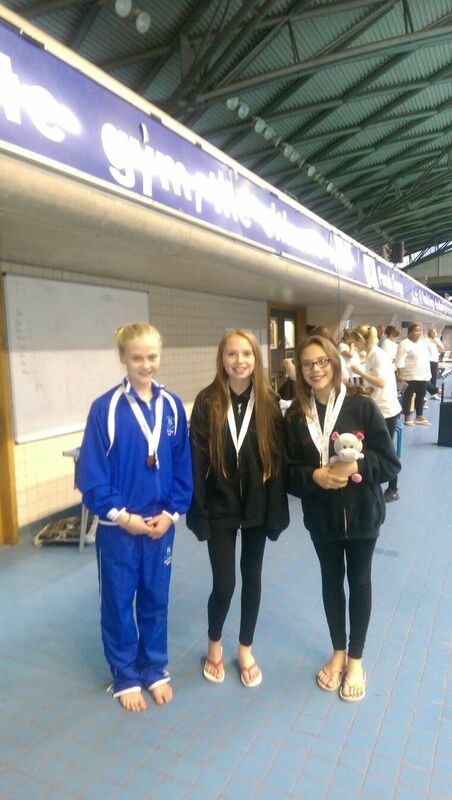 Team CoPA triumphed again on Sunday with all swimmers making their mark on the competition. Results were split between the Yorkshire clubs and the invitational clubs and the results here represent the invitational clubs of which CoPA was a part. 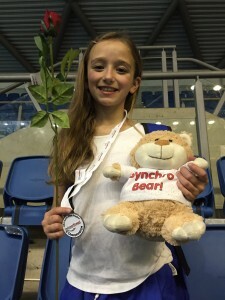 In the 12 and under category, Daisy took gold for her figures and gold for her solo, whilst Natasha took bronze medals for both her figures and solo. Daisy and Olivia also took a gold for their duet. In the 13-15 category, Leah placed first to take gold in figures, with Izzy close behind to take silver. The two girls also stood side-by-side on the podium in the solo event with Leah taking gold and Izzy silver. 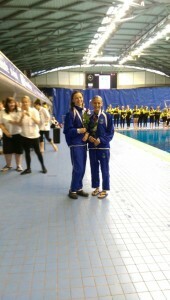 Both girls cemented their partnership with their duet swim to earn themselves a gold medal. In the 15-18 junior competitive category, Rhea took silver for figures and another silver for her solo. Rhea and Tilly took gold for their competitive duet. 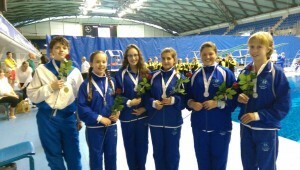 The medal count was sufficient to warrant a special award for CoPA in joint third place for the ‘most medals’ won overall in the competition. Considering that CoPA were by far the smallest club there this is a considerable achievement and is in keeping with CoPA’s ‘quality over quantity’ ethos. Another deserved result for CoPA swimmers. Full results are available here. Videos to follow soon for (logged in) CoPA members. 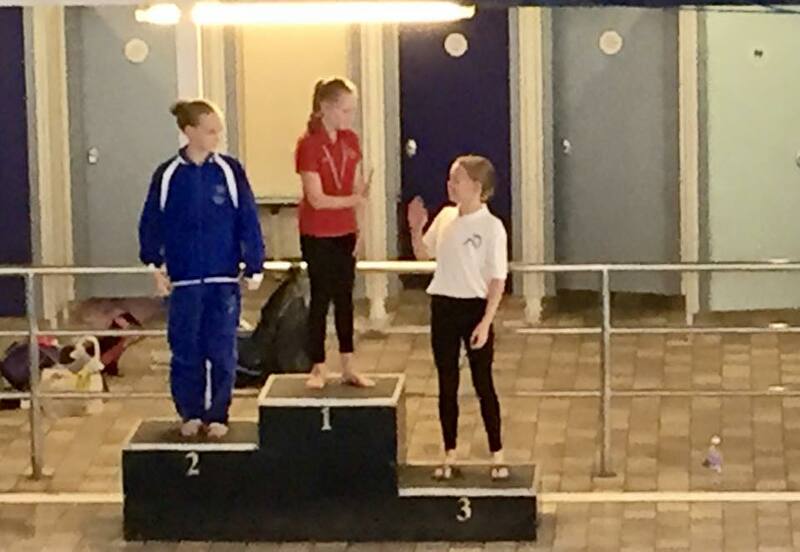 CoPA accomplished at the Swim North East/Swim North West Multi-Regional Championships in Sheffield this weekend with all swimmers scooping medals. Daisy took the top spot in figures to take gold from 53 competitors in the category, as well as netting a silver for her solo. 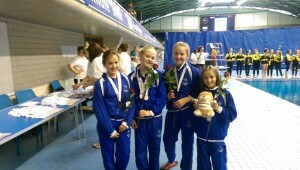 Daisy and Olivia took bronze for their duet, with Rhea and Tilly also taking a bronze with their duet. 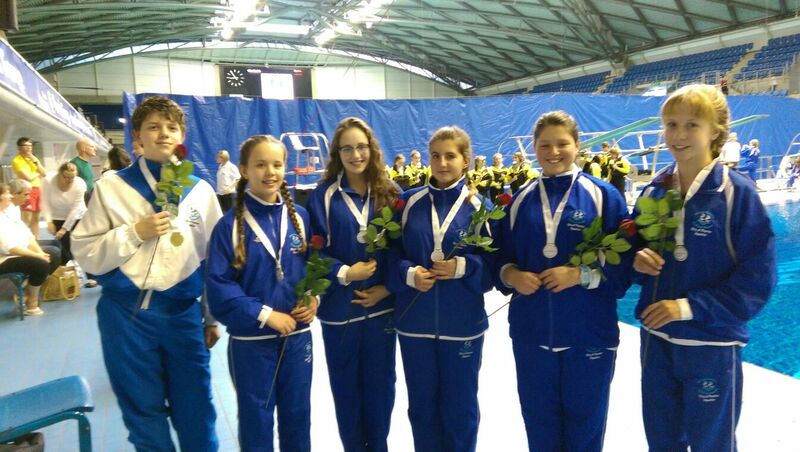 The 13-15 recreational combination team (Ana, Gabriel, Izzy, Leah, Sophie and Willow) took gold, whilst the 12 and under free team (Daisy, Gracie, Natasha and Olivia) gained a silver. Well done to all! Full results are now available here. Videos of the event to follow for CoPA members. 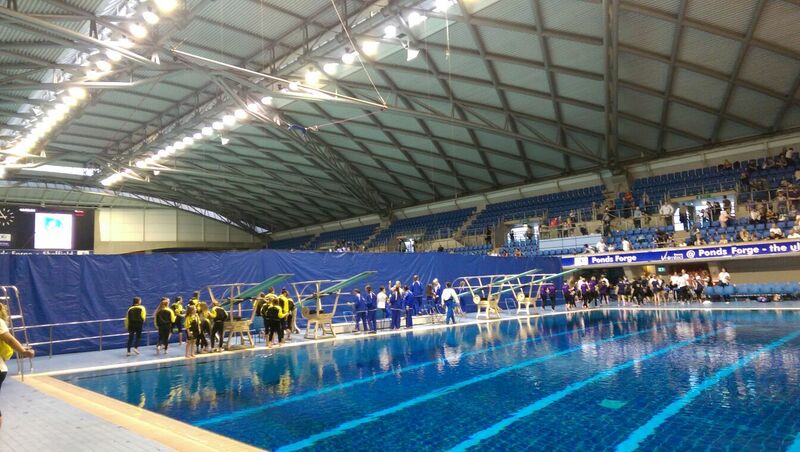 It was a successful day for CoPA on Sunday at the 7th Lancashire County Water Polo & Swimming Association Synchronised Swimming Championships at Palatine pool with several of our swimmers medalling. Gracie placed first to take gold in the novice figures competition and Daisy also took gold in the 12 & under solo. Rhea gained a gold for her solo in the 13, 14 & 15 age group category, with Leah also taking silver. In the 12 & under duets it was another CoPA gold for Daisy and Olivia whilst Leah and Izzy also grabbed a gold for their 13, 14 & 15 age group duet. 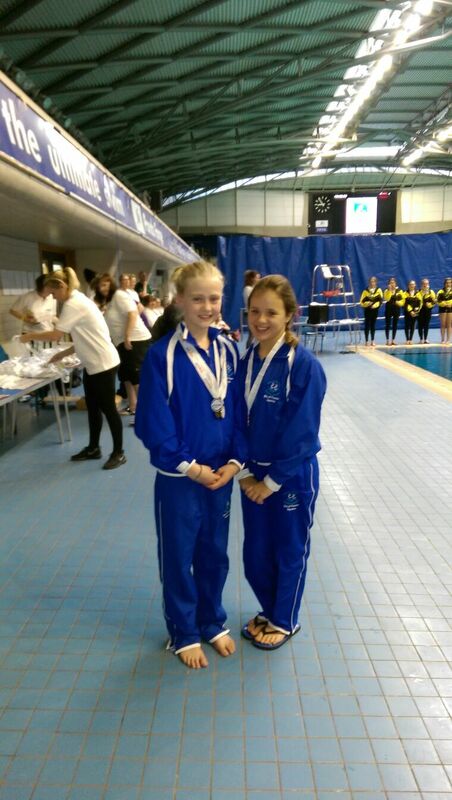 In the 15 & over duets, Prisha and Victoria took bronze, and in the combination free teams, CoPA finished 2nd to take silver against strong competition from four Salford teams. Well done to all! Full results can be found here. Photos and videos from the event can be found here. Daisy Takes Silver at Beacon Games! 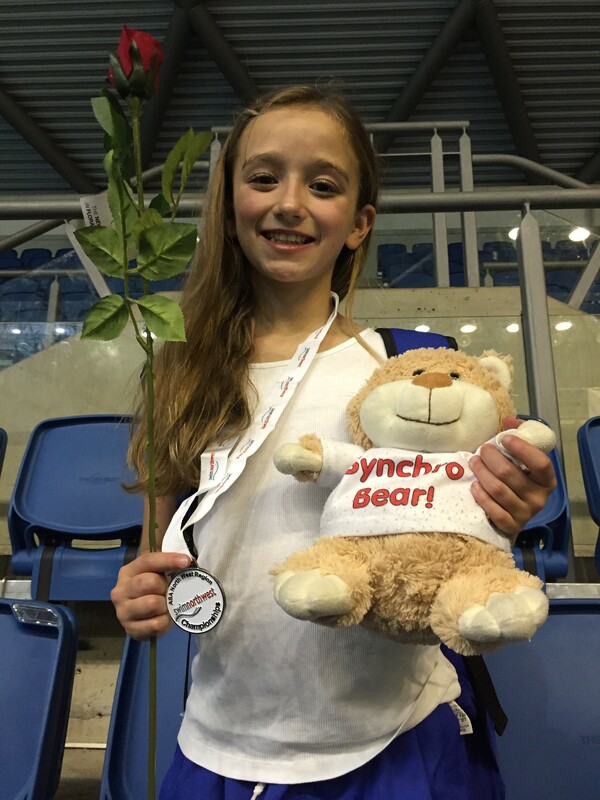 An outstanding result for CoPA swimmer Daisy as she finished 2nd to take silver in figures at the first ever synchro Beacon Games in Bristol this weekend. 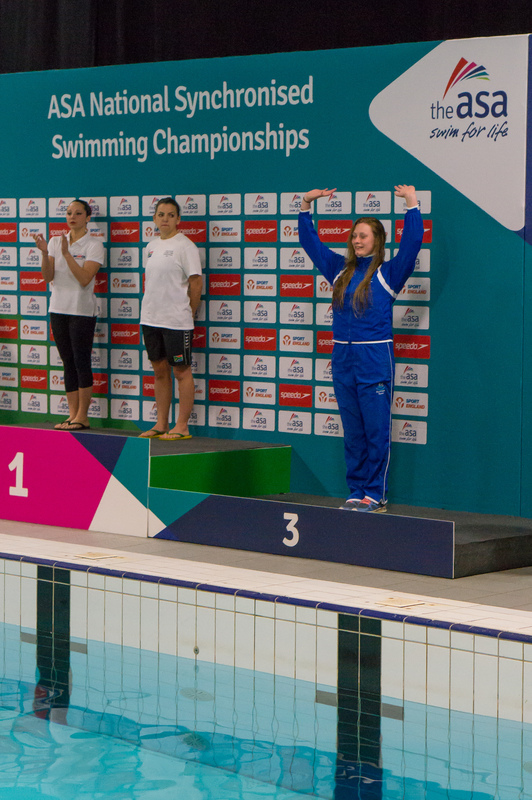 The competition is open to swimmers from the regional beacon programmes as well as the England Development Squad. 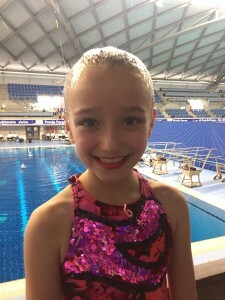 Five England Development Squad members competed in the games and Daisy finished ahead of three of those to place fourth overall. With the EDS members excluded for beacon results, Daisy ranked 2nd. 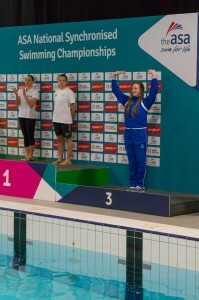 A brilliant result well deserved for Daisy, and another proud result for CoPA. 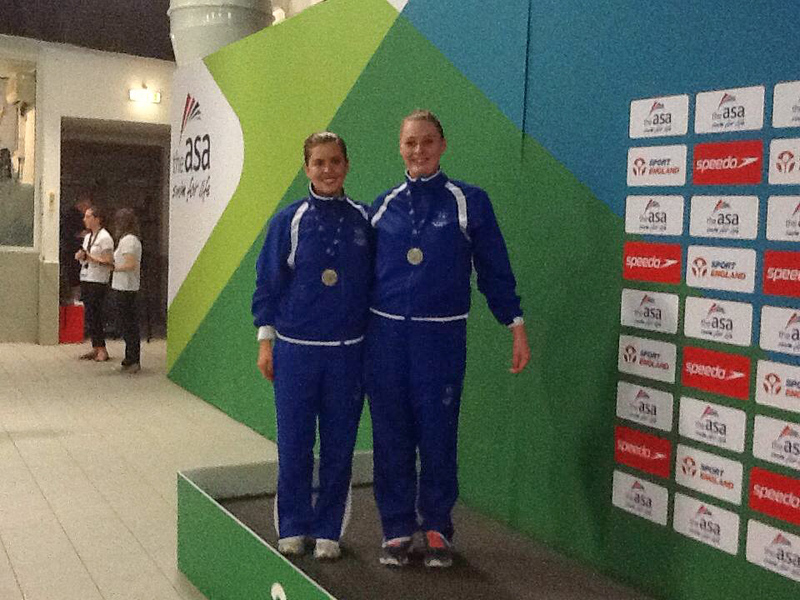 Shannon came second in figures and also in her solo to net her two silver medals. An amazing effort from CoPA suitably rewarded. Well done to all. Well done to all swimmers who competed in the British Championships at Gloucester this weekend. It was another success story for CoPA with Shannon and Beth taking a silver medal in the technical duet with a score of 59.9902 and Shannon scoring 60.7705 for her technical solo to scoop bronze. 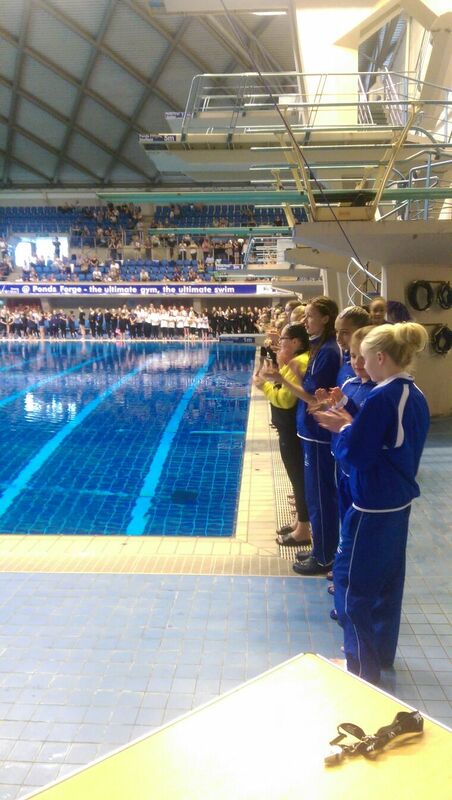 The team also swam well in their free combination event and finished 9th (including the England Team) overall. Full results can be found on the ASA web site. CoPA members please log in to see more pictures and videos from the event in this news feed.